Based on four years of research and numerous interviews with practitioners, this book uncovers the little known history of early British computer art. It is an amazing story and hard to comprehend that before the onset of personal computers, propriety software and the internet there was a real struggle for access which touched off an explosion of true British pioneering spirit. Computer art can be described as "art created through the agency of a computer in which the computer operates simultaneously as medium, tool and context in addition to its organizational and interactive elements" and it is important to bear this in mind as the reader considers the vagaries of comprehension by the establishment and the countering powerful support of the art colleges. A number of art schools played a crucial role in fostering these important cross-disciplinary digital collaborations. These are described for the first time here, along with over 140 illustrations, many not seen in print before. 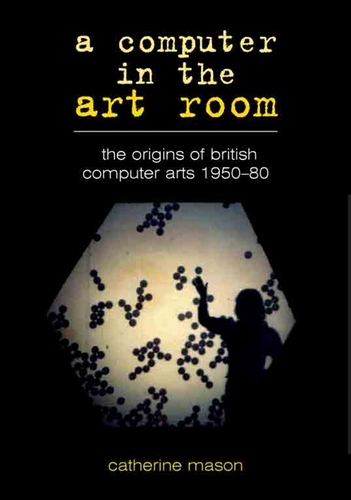 The book introduces British artists in the postwar period who were inspired by science and began to consider the use of computing. They found the requisite technology and expertise at innovative art schools including the Royal College of Art, the Slade School of Art, Leicester Polytechnic, Middlesex Polytechnic and Coventry Art School. A direct link is traced from tutor to student through the British art school system. This was a unique period in which art students could learn to program computers and construct their own hardware. These pioneers had a real vision of the arts and sciences coming together for greater understanding and creativity on both sides.